New fragrances are always worth sniffing out, as it is always refreshing to add new and exciting products to one’s collection. L’Occitane recently launched a new skincare range for men titled: L’Occitane Cedrat. They have used the cedrat fruit to develop an energizing and masculine fragrance and skincare rage. The range consist out of eau de cedrat, shower gel, deodorant stick, soap, face gel, shaving gel, after shave and cleanser which was tailored to meet the unique demands of men’s skin. 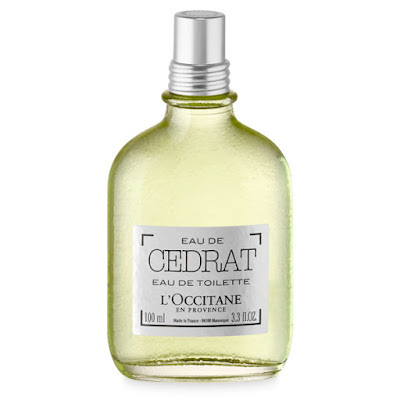 I have been using the L’Occitane Cedrat eau de toilette and the L’Occitane Cedrat Shower Gel, and recommend it to all the dapper gents as these products will leave you smelling great for hours! The L’Occitane Cedrat eau de toilette is a very masculine fragrance. The scent strikes a perfect ‘woody citrus’ balance. It opens with a refreshing citrusy scent, blending cedrat bark and sparkling bergamot. Spicy notes of nutmeg and blue ginger develop in the heart, to provide warmth and also to enhance the overall impression of the fragrance. The base closes with elegant flavors of cedar and cashmere wood. The fragrance smells amazing and has a very good silage. The Cedrat eau de toilette comes in a signature flask-style bottle made of glass and crowned with a silver stopper. The bottle recalls the skin of the cedrat fruit and the color of the fragrant liquid is a citrusy, greenish-yellow shade (appropriate for the name of the fragrance). The 100ml EDT Cedrat eau de toilette by L´Occitane retails for R740 and the 50ml EDT retails for R560. 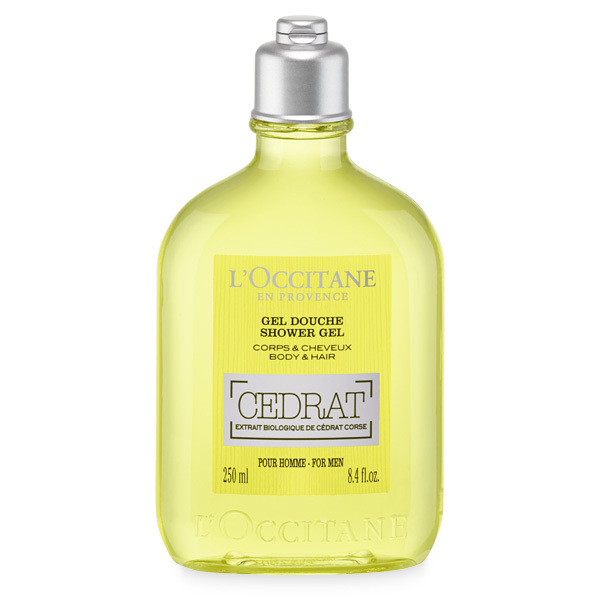 The L’Occitane Cedrat Shower Gel is a multi-purpose, 2-in-1, product that can be used as body wash and as shampoo. The Cedrat Shower Gel by L’Occitane lathers well and gently cleanses one’s body while leaving a fresh and masculine scent. The shower gel is enriched with organic Corsican cedrat extract for its energizing properties. The Cedrat Shower Gel by L’Occitane comes in an extra-large masculine bottle and retails for R235. PS: These products in the Cedrat range will make great Fathers Day gifts! 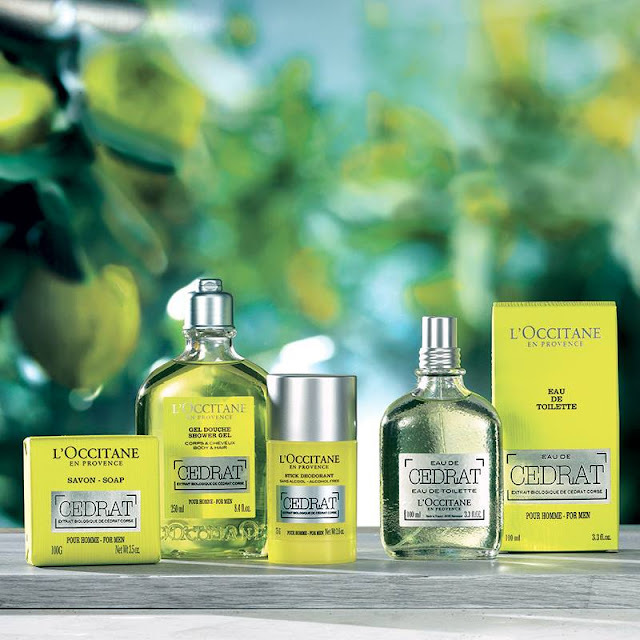 Click here for a list of L’Occitane Boutiques where you can shop the Cedrat range.